The Buyer's Journey is the strategic compass Inbound Marketing uses to ensure that we as marketers reach out to prospects in the right way and at the right time. Read on to see how following each stage of this journey is vital to a successful inbound marketing campaign. Why should you care about the Buyer's Journey? Our customers have changed. They aren't responding to marketing strategies of twenty years ago. This is why approaching a prospect at the right time (or understanding at what point they may approach you) is essential to conversion. Everyone is searching online these days so you need to make sure your business is visible and engages with the buyer at different stages of their journey. Your content and your marketing strategies need to engage with these three stages to help persuade the customer to buy from you. You are no longer the only seller in town. So, here's how you can successfully implement each stage into your marketing strategy to improve conversion and increase sales. The first stage of this journey is known as Awareness. At this stage, an individual is 'aware' of their problem. Their probem, or pain point - is the reason they are searching for a solution (which could be your product or service). At this stage an individual is looking around for the definition of their symptoms and is not interested in brand-specific messages. 'Purchase' is not a term welcome at this point in the journey. Here we are simply researching and gathering as much information as possible to give to the individual. The specifics of solution or resolution technique do not need to be emphasised either - it's important that at this point, we are only raising and defining points, providing data and summarising problems for the reader. At this stage they are getting more information to be more aware of their situation. Your purpose in this part of the journey is to give the reader more information in the form of content to help them move onto the next stage. What sort of content is appropriate here? Next up is the Consideration stage. Here, the individual is aware of their problem and they have suitably defined it, now they want to understand what is the best product or service to help them solve their issue (or pain point). This could involve a specific piece of software, a certain method of working or simply buying a certain type of product that will suitably fulfill the researchers needs. The individual is now committed to understanding all of these potential approaches but is still uninterested in an end provider. They do not want to speak to your brand or make a purchase until they have worked their way through their list of solutions. At this stage the individual is still fact finding, but is now hungry for more technical definitions and methodology specific language. Abbreviations and distinct terminology is OK here but still needs to be clear. By the time we arrive at the Decision stage, our prospect has clearly educated themselves and defined their problem. They are aware of the various solutions available on the market and have probably read a few comparison pieces critiquing each approach. They have now also started looking into who can provide this solution. This is where brand messages are important, along with detailed information about your process. At the decision stage, we want all the markers discovered at the Awareness stage repeated, and all the techniques we learnt about at the consideration stage supported and expanded upon. This stage ties up the first two into a purchasable package. This is where the sale is made - by understanding that a company also understands my problem, and is fluent in the various techniques I have previously researched - I'm far more likely to place trust in them and approach them to fix my problem. How far should we trust the Buyer's Journey? The truth is, that breaking down the modern day purchasing process into three stages is incredibly simplistic. Moreover, expecting anyone to follow these stages in a linear path shows a severe lack in understanding of how consumers' brains work. Your buyers will be traveling through these stages in anything but a linear fashion. By accepting that the Buyer's Journey WILL be staggered and may be repeated many times by the same person, you will understand the customer much better and should be infinitely more strategic in your approach to content creation and conversion. 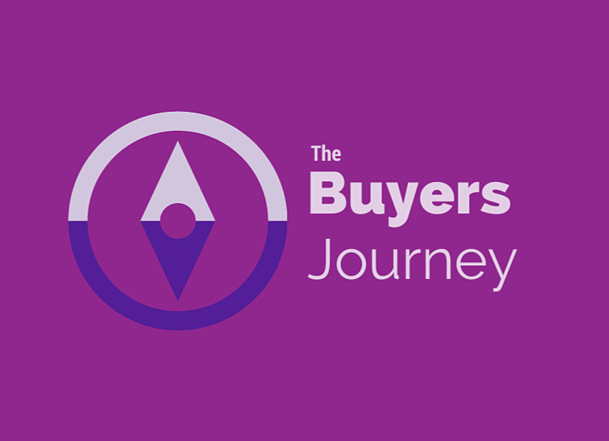 The best way to use the Buyer's Journey is to use the stages to categorise your messages, understanding what you already do well and where you may not actually be heard at all. Once you are aware of the gaps you can fill them and begin to create a content library that meets your Persona's pain points head on.